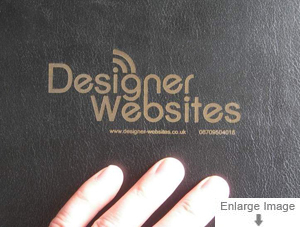 We used our laser cutter to engrave this company’s logo onto a batch of conference folders to be used as promotional gifts. 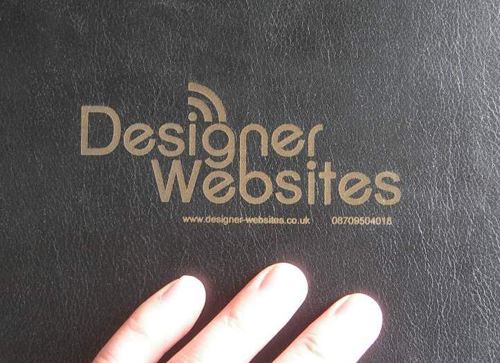 The client opted for laser-engraving because it produces a subtle, textured finish that has a higher quality feel than conventional surface printing. 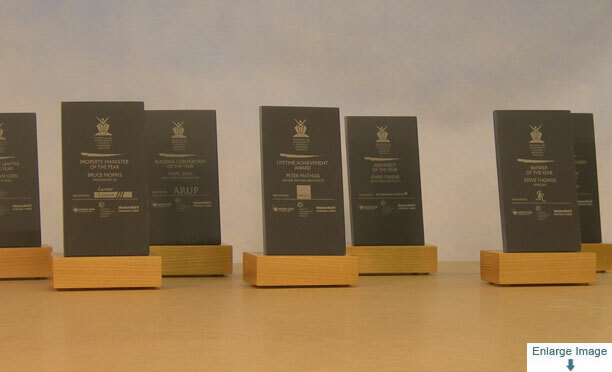 Specially created for an industry awards ceremony, this set of 8 custom-made trophies incorporated laser engraved Welsh Slate and a hard wood base. 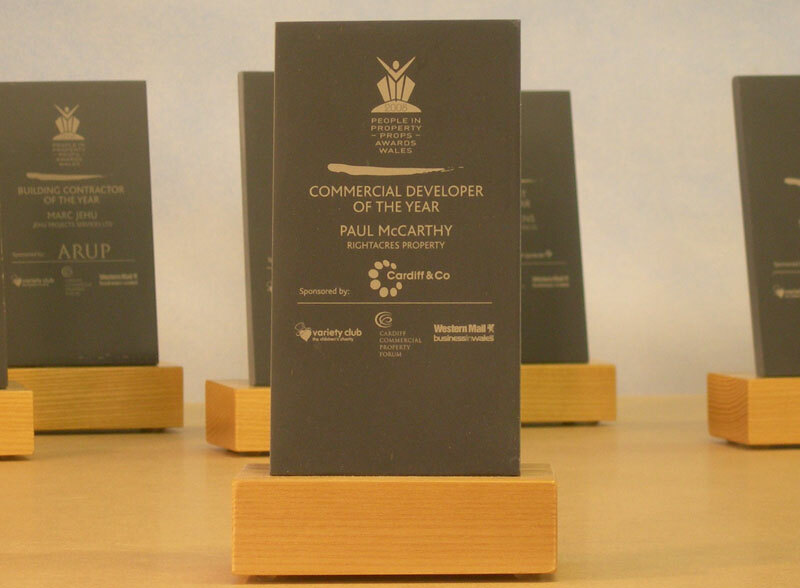 Each award was personalized with the name of the winner. This laser cut and engraved Perspex plaque was designed and made in the space of a few days. 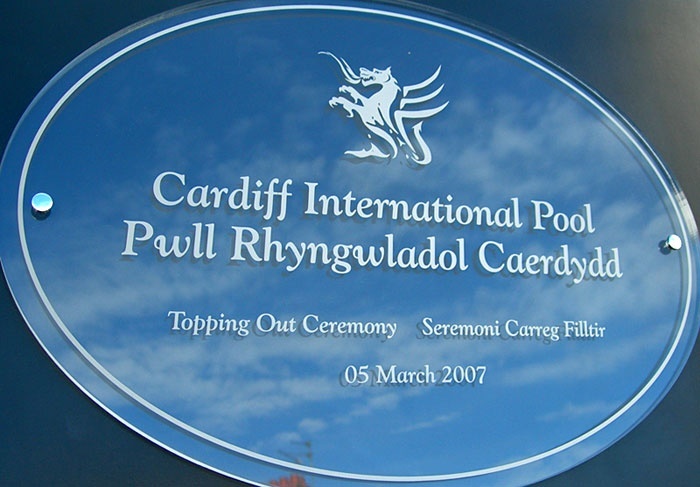 It was used as part of a PR photo opportunity at a “Topping Out” ceremony for a new international swimming pool. 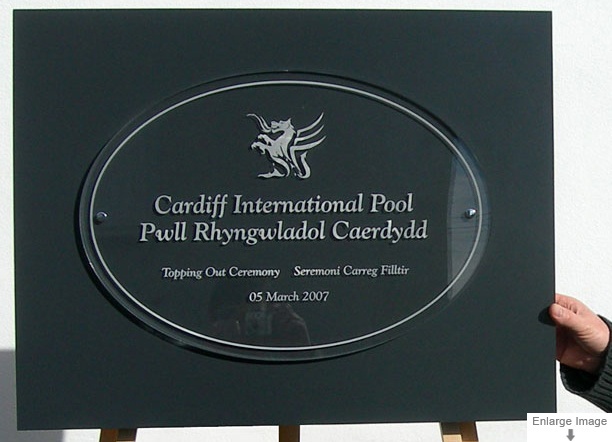 It was made from 10mm thick Perspex and fixed to a slate grey back board.